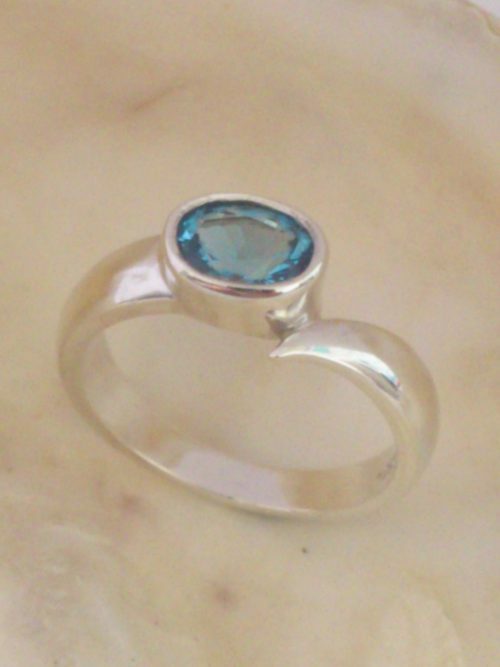 A traditional London bridge ring. 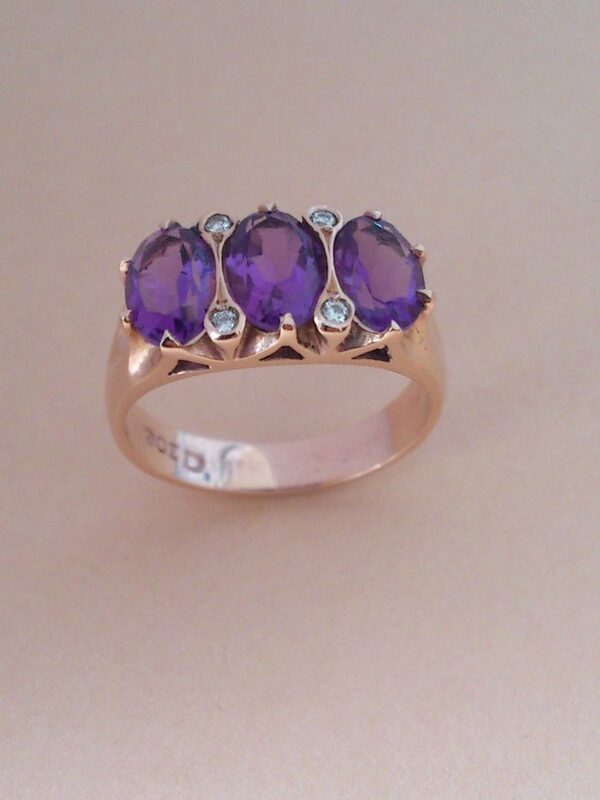 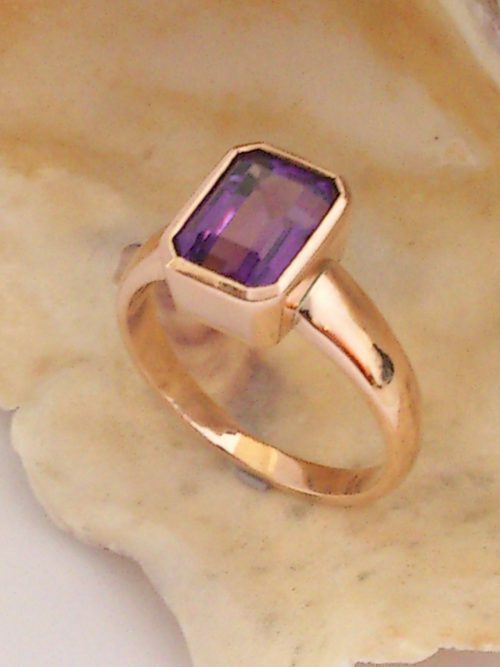 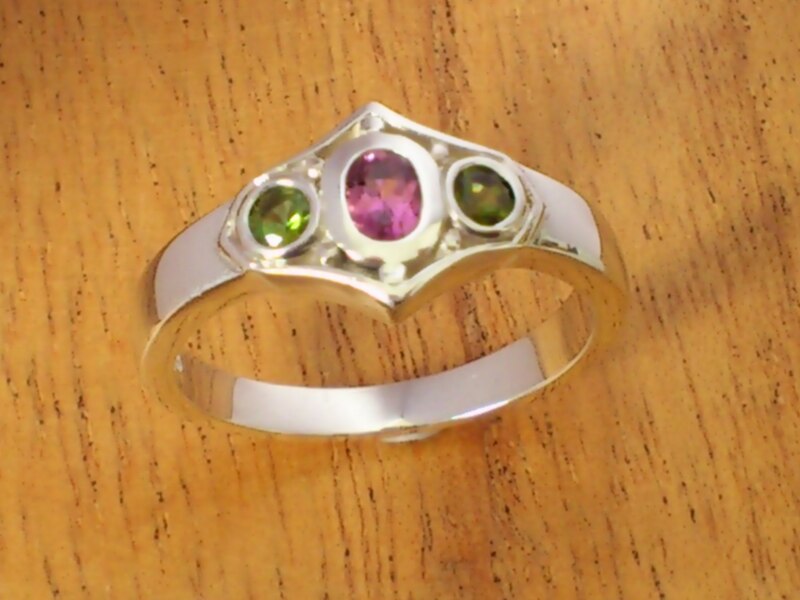 9ct red gold ring set with three beautiful 7 x 5 mm oval bright purple amethysts and 4 x 0.01 point diamonds. 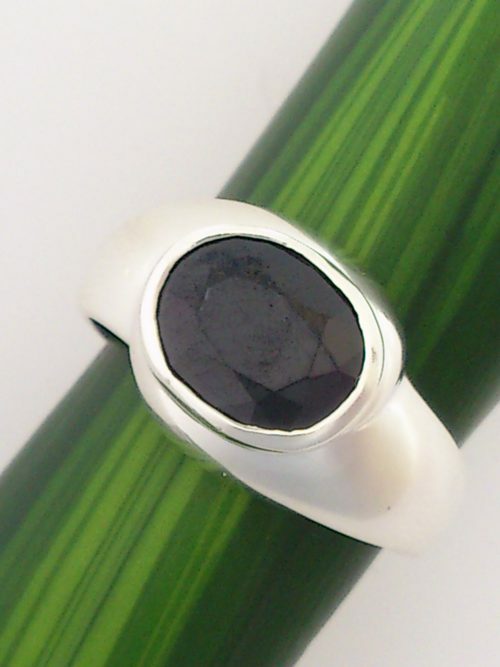 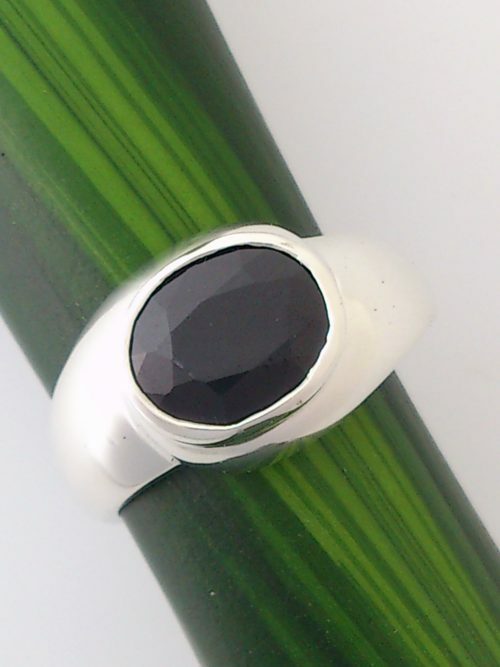 A classic design that is always popular.